I have done two events over the last 24 hours here in Manchester – one a ‘cafe politique’ organised by IPPR North which basically means gathering in the best cafe in town and talking about a better world, the second an innovation camp with a great array of people from across sectors and across the city. The ideas for new coops included a herb garden (‘herb and farming’ if you get the pun) on a disused viaduct, a travelling media resource bus and a pledgebank model for community owned windfarms. Paul was doing the illustrations. I am the one in the middle with the hair – nice one. 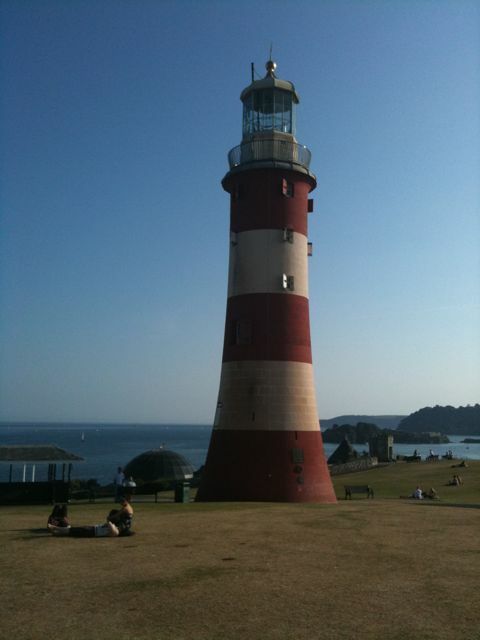 Close to the Plymouth Lighthouse, four hundred and seventy of us this weekend gathered for an annual ‘congress’ of co-operatives and there were more than a few beacons of hope. The speakers included Richard Wilkinson, Phillip Blond and Will Hutton and the tone and debate were exemplary. In democratic fashion, the theme voted on for our focus next year is to work with others on community co-operatives and innovation. It will be interesting to explore this kind of localism – we have had years of experiment, from island and community retailing in Scotland through to inner city finance. Networks like the Development Trusts Association have done great work building community agencies as ‘anchors’ at the local level. One lesson is that localism can benefit by being connected up outside, because some things will only be sustainable at scale. But another is that a lot of outside support and finance never makes it through to local people to support sustainable enterprises. Cath who I met here from Footprint Workers Co-operative in Leeds is one person trying to combine the community organising style of coalition building with co-operative enterprise. My good friend Pat Conaty is talking of an idea we and others tried in the Midlands years ago of developing a self-help course in organising your own local economy. The course was called ‘Nutshell’ – a prize of co-operative chocolate for anyone who can possibly guess what that acronym stood for. There will be many other lessons, both positive and negative, and I would love to hear what you think they may be. And we can’t do this ourselves and won’t pretend to, but with what communities are going to face in years to come, it feels right to be more ambitious. I met Becky and Alicia on their intrepid journey around the UK, visiting friendly co-operatives, talking to friendly co-operators… and getting it all on film. They are full of energy – I think they need to go round the world next time. Harrogate today. Yesterday, I enjoyed the launch of a new partnership between the co-operative sector and the Workers Educational Association and an event in London by the Co-operative Group on inspiring young people. Today, I was speaking on housing alongside the head of the Local Initiatives Support Corporation from the US at the big annual CIH housing gathering. 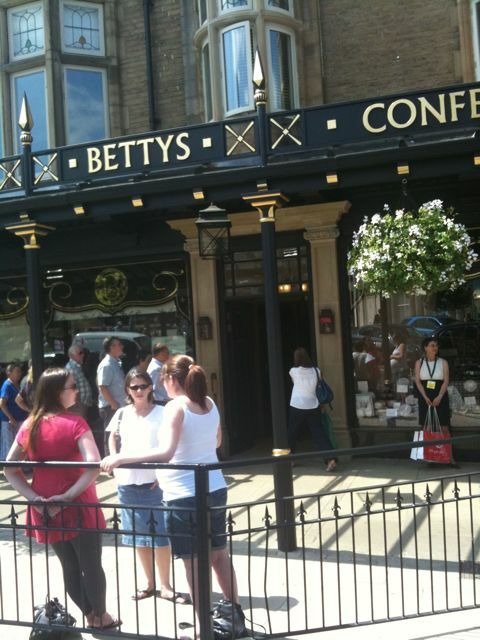 And could sneak off with a few co-operators to get a teacake from the famous Betty’s on the way back. Harrogate – great people, great teacakes. 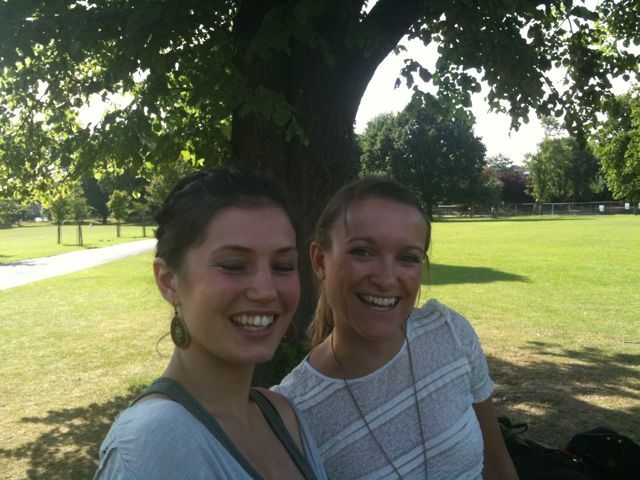 As part of Co-operatives Fortnight, two intrepid explorers Becky Crosweller and Alicia Walker are taking up the challenge to work in seven co-operatives in seven regions in seven days. Becky and Alicia, for the Co-operative Group, left Manchester on Saturday to visit Loch Fyne Oysters in Argyll. During their trip they will visit Wool Clip in Cumbria, The Star Inn in Salford, Daily Bread in Northampton, Greenwich Leisure in London where I will see them, then on to Westmill Windfarms in Swindon and finally Dulas in Mid Wales. So from oyster farms to wind farms, and from spinning wool to aeobike classes, the girls will be giving regular updates on Facebook and Twitter, letting you in on how their journey is unfolding. 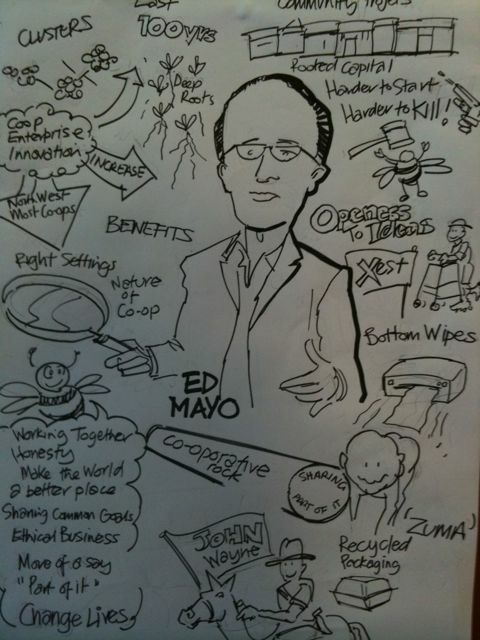 Off to a wonderful start today to Co-operatives Fortnight. With events around the country up and coming, I was in London as a contributor to “52 Ways to Change the World” at Westminster Central Hall, coordinated by the Co-operative Group. 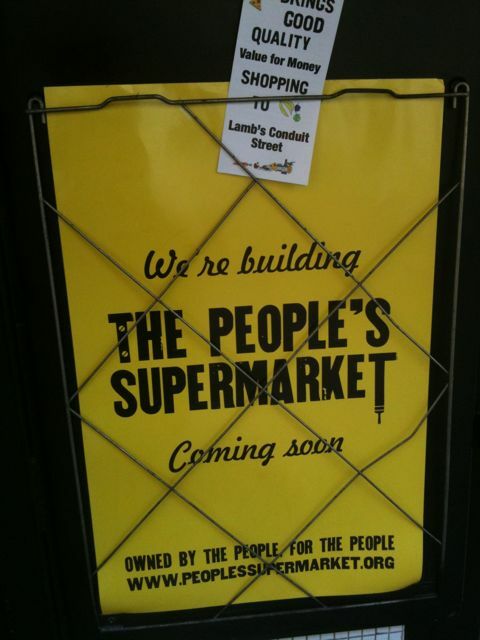 And then across town, for the formal launch of the People’s Supermarket, along with Vivian Woodell of the Phone Coop. There is an alternative … it’s official! We launched the first report for Co-operatives Fortnight today, about how neighbourly Britain is. The great sociologist Michael Argyle wrote about neighbours many years ago in his survey of co-operation in Britain. Ben Page was then good enough to dig out the original survey from MORI’s archives for me and we re-ran the questions, thirty years after the original. The Sunday Times has previewed the report, Co-operative Streets, which you can download here. The Good Neighbour Index that we have developed is based on the total number of people helped by their neighbours divided by the number whose neighbours have given them problems. On this index, the UK is less than half as neighbourly in 2010 than it was thirty years ago (1982 index score – 3.6; 2010 index score – 1.8). But the good news is that there are new ways to be a good neighbour. While the number of people looking after neighbours’ pets or plants has halved over thirty years, over thirty million people now take in parcels for their neighbour. And across the UK, there are at least twenty one million conversations taking place each day between neighbours. I conclude from all of this that the UK remains a neighbourly, co-operative nation at heart.